On the brighter side of things, however, she’s in capable hands now. Left her at Lon’s to get her well deserved “spa” break. hopefully, next week, we could go ripping through the streets again. 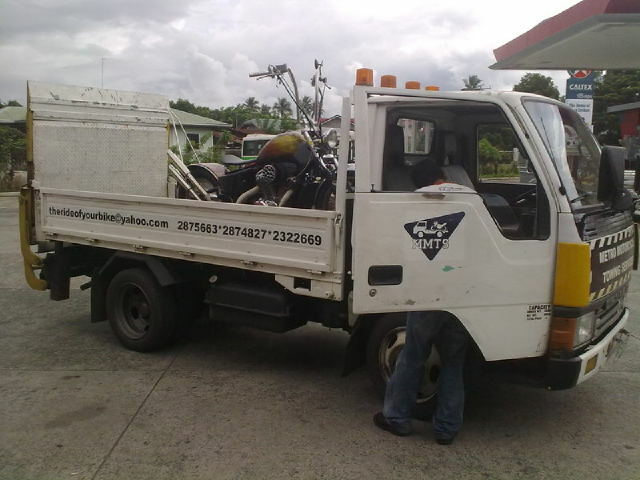 This entry was posted on July 4, 2011 at 3:35 pm and is filed under Maintenance, Motorcycles with tags Bikes, Motorcycles. You can follow any responses to this entry through the RSS 2.0 feed. You can leave a response, or trackback from your own site. i experienced it too a couple of years ago brother. For sure you and Kendra will be back on the road in a couple of days.